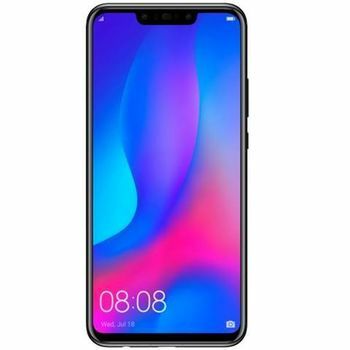 The Huawei Nova 3 comes with a dual 16+24-megapixel rear camera which along with an LED flash is designed to shoot noise-free images in both bright and dark conditions. On the front, to aid crisp selfies and video calls, there are dual 24+2-megapixel front-facing cameras. 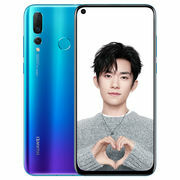 The Huawei Nova 3 flaunts a full metal body. The device also sports a rear-mounted fingerprint reader which is fast and accurate and can unlock the device in a jiffy. The smartphone boasts a big 6.3-inch Full view display that lets you enjoy games and videos. The Full HD+ resolution on the Nova 3 ensures that the images are bright and vivid and users get an unmatched visual experience. The screen on the Huawei Nova 3 comes with a coating of Corning Gorilla Glass that prevents any unwanted scratches. At its heart, the device is powered by a 2.4GHz octa-core Hi-Silicon Kirin 970 chipset which is paired with 4GB of RAM to ensure smooth sailing even while you are working on multiple apps simultaneously or playing games. 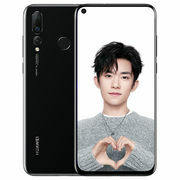 The Huawei Nova 3 ships with an onboard storage space of 128GB which can be expanded further using the Hybrid SIM slot up to 256GB via a microSD card. 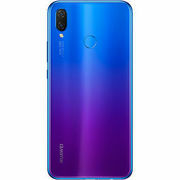 For power, the Huawei Nova 3 is fuelled by a non-removable Li-Ion 3,750mAh battery which has support for fast charging. 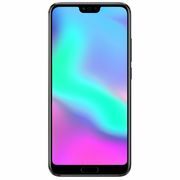 Connectivity options that are bundled with the Nova 3 include 4G, Wi-Fi 802.11 a/b/g/n/ac, GPS, Bluetooth 4.2, and a USB Type-C port. On the software front, the handset runs Android 8.1 Oreo. 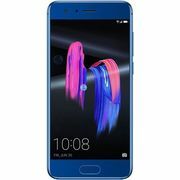 The Nova 3 is Huawei’s new flagship smartphone with four cameras The Huawei Nova 3 comes with a dual 16+24-megapixel rear camera which along with an LED flash is designed to shoot noise-free images in both bright and dark conditions. On the front, to aid crisp selfies and video calls, there are dual 24+2-megapixel front-facing cameras. The Huawei Nova 3 flaunts a full metal body. The device also sports a rear-mounted fingerprint reader which is fast and accurate and can unlock the device in a jiffy.Display and Performance The smartphone boasts a big 6.3-inch Full view display that lets you enjoy games and videos. The Full HD+ resolution on the Nova 3 ensures that the images are bright and vivid and users get an unmatched visual experience. The screen on the Huawei Nova 3 comes with a coating of Corning Gorilla Glass that prevents any unwanted scratches. At its heart, the device is powered by a 2.4GHz octa-core Hi-Silicon Kirin 970 chipset which is paired with 4GB of RAM to ensure smooth sailing even while you are working on multiple apps simultaneously or playing games. 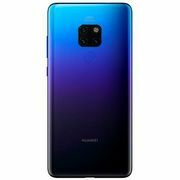 Storage and Battery The Huawei Nova 3 ships with an onboard storage space of 128GB which can be expanded further using the Hybrid SIM slot up to 256GB via a microSD card. 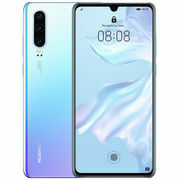 For power, the Huawei Nova 3 is fuelled by a non-removable Li-Ion 3,750mAh battery which has support for fast charging. Platform and Connectivity Connectivity options that are bundled with the Nova 3 include 4G, Wi-Fi 802.11 a/b/g/n/ac, GPS, Bluetooth 4.2, and a USB Type-C port. On the software front, the handset runs Android 8.1 Oreo.